Africa, India, and the Indo-Malaysian archipelago are inhabited by giant pythons. The Reticulated Python of the latter region is by far the longest; it reaches documented lengths of at least 33 feet. Like most pythons, the Reticulated Python lays eggs, and the size of the clutch increases with the length of the mother, the largest recorded clutch size being near 100. All pythons kill their prey by constriction, and there are a few records of attacks on man, mostly involving children or women. 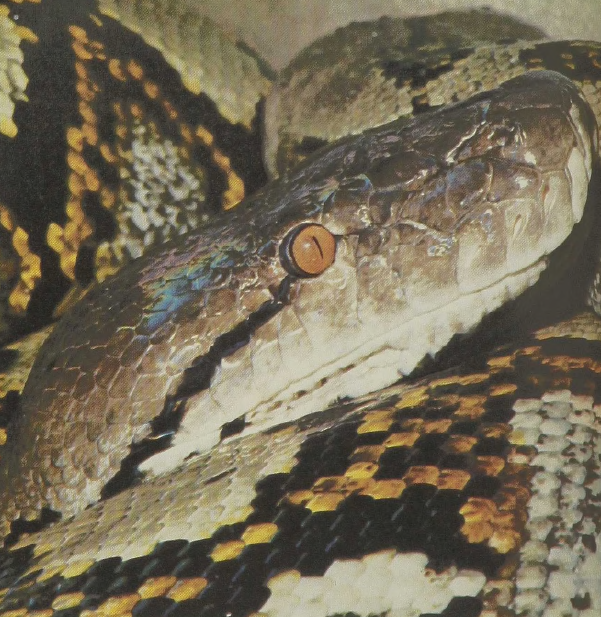 Although there are records of large specimens eating 100-pound pigs, it is unlikely that even a 25-foot snake could swallow an adult man, though it might be able to kill one.